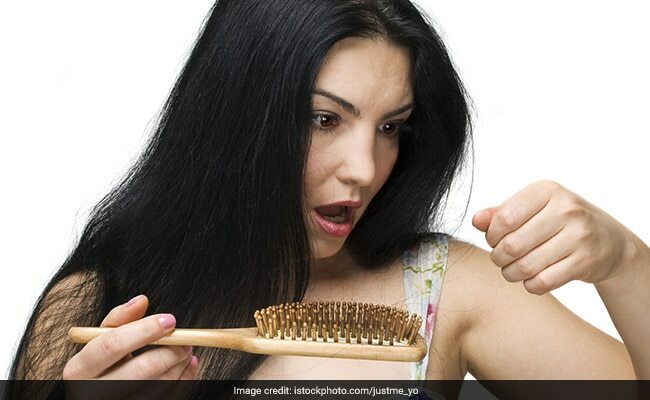 Too much of hair-styling, pollution and stress can take a toll on your hair, and just like your skin your hair needs some tending too, these 5 ingredients from your kitchen pantry can come to your aid to treat dry hair and bring back its lost shine and softness. The festive season has gone and has left behind some messy, dry and frizzy hair to take care of . We are sure you must have had a gala time letting your hair down at the Diwali bash, but now with that the party is over and the winters fast setting in(Read: dry scalp and unmanageable hair), its time to give your hair the due attention they deserve. We have got some tips to prevent your hair from the dry and dull post festive fate. Too much of hair-styling, pollution and stress can take a toll on your hair, and just like your skin your hair needs some tending too, these 5 ingredients from your kitchen pantry can come to your aid to treat dry hair and bring back its lost shine and softness. Eggs are an excellent source of protein, they help to strengthen and repair damaged hair and also add moisture to dry hair. Take two eggs and separate the yolk from the whites. Add a little water to the yolks and a tablespoon of honey. Beat until the mixture is slightly fluffy. Apply the mixture all over your hair, and keep it on for 30 minutes before washing. Rinse with mild shampoo and see the change for yourself. The acetic acid in apple cider vinegar helps remove residues from chemical build-up and leaves you with lustrous and strong hair. Mix 1 teaspoon apple cider vinegar with 2 tablespoons of olive oil and 3 egg whites, apply the mixture all over your scalp and hair. Let the mixture sit on your head for 25 minutes and then rinse with cold water. Fenugreek seeds helps in conditioning your hair and making them soft. Soak 50grams of fenugreek seeds in water overnight. Next day, crush them and make a fine paste with olive oil or honey. Apply this paste on your scalp and your strands and let it sit for about 30 to 45 minutes and rinse it off with mild shampoo and cold water. Yogurt acts a natural conditioner and moisturising agent for dry hair. Nourish your hair with the goodness of yogurt. Just take plain yogurt and it all over your hair and scalp. Let it sit for 30 minutes and then rinse. Massaging your head with olive oil adds moisture to dry hair. It is rich in vitamin E and antioxidant elements that help to heal damaged and tame frizzy hair. Make most of these kitchen ingredients and infuse life back into your dull and dry locks.